We have just launched Tequila Zombies 3 on Steam. We decided to put the game on Steam Greenlight first and only start porting if/when the game passed it. The artist made an amazing trailer, several screenshots and prepared the description text. We made English and Russian versions. I contacted my friends on Facebook and they translated the text to 4 additional languages, including French, Portuguese, Spanish and German. Thanks, Monica, Sonya and Gerhard! 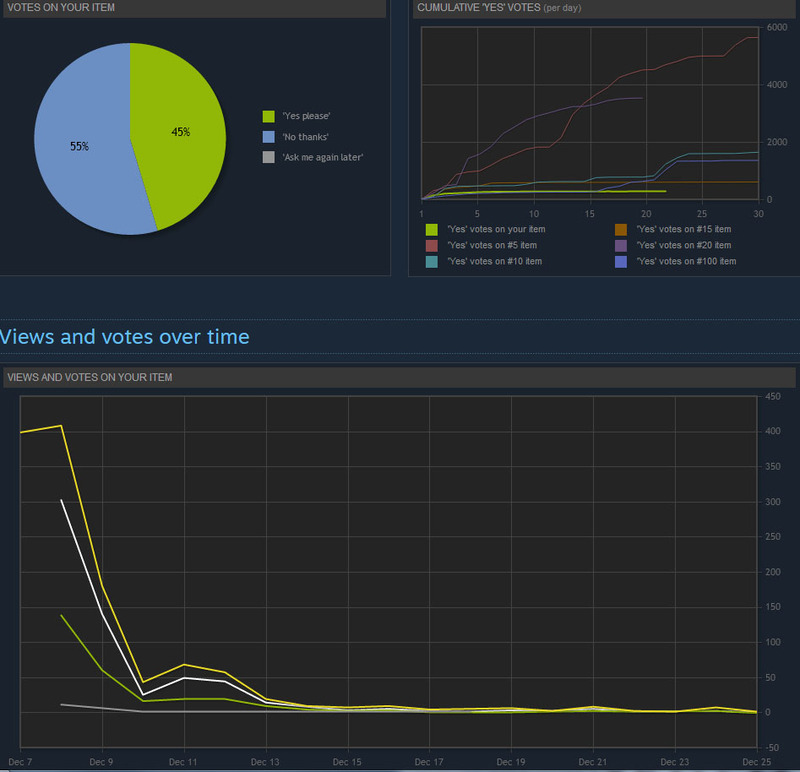 So we pushed the game to Greenlight, got some votes on the first week and then it stopped. It looked like the game won’t go anywhere without promotion — and we received a several promotion proposals, didn’t do anything except posting in our FB and Twitter. Suddenly the game passed Greenlight in the end of December 2016 — not sure what happened, it didn’t look like the game collected a lot of Yes votes — probably the Greenlight review team had Christmas mood? Since then we were porting it to Steam. We had to add full screen support, that required changes in the enemies spawning logic that leaded to game re-balancing. Additionally we needed to implement all the possible Steam APIs and create a lot of promo materials (Steam trading cards, backgrounds, emoticons, icons etc.). There was a delay caused by the fact that I activated the development account a bit late — we needed Steam app id to implement Steam APIs and when I opened the developer portal, I found out that I have to pass the legal and taxes interview before I can access it. When I filled out all the necessary forms, Steam legal team requested some paper scans and it took several days to get it approved. Anyway, it was activated and we started preparing all the necessary materials and the game build. It was ready several days ago and we were ready for publishing %) The release date was set to April 6 and it didn’t seem that I could change it, but somehow I managed to change it to March 28. The game appeared in the upcoming releases list, and on March 28 it appeared in new releases list, but the players couldn’t buy it — I had to manually approve the release on the developer portal first. It was done today and now the game is available on Steam! ? >> Этот продукт не поддерживает ваш язык. Пожалуйста, перед покупкой ознакомьтесь со списком поддерживаемых языков. Макс, игра не переведена на русский, есть только английская версия. С переводом не всё просто — помимо текстов есть ещё диалоги голосом. Тут правда можно было бы сделать русские субтитры, но есть ещё журналы, которые нарисованы — на них есть важная информация. В общем, пока с переводом на русский (и другие языки) не сложилось. Previous Post: Battalion Commander is now on PlayStation!